Even the U.S. Census Bureau knows it can do better. While gearing up for the 2010 census, the Census Bureau looked closely at neighborhoods that might have low response rates (remote areas or places with a high number of non-English speaking residents). Clearly they needed to better educate residents about the census itself and about the importance of filling out the form. So the Bureau stepped up its communication efforts and engaged in an advertising effort that targeted their most “difficult” customers. One of the best fixes to maximize participation, the Census Bureau decided, was keeping the instructions simple. Previous surveys (particularly a test survey aimed at teachers) had garnered responses like "holey moley," "oh my, this is a lot," and "wow." Clearly people found the length of the instruction page overwhelming -- and the teachers they were surveying were probably an audience more inclined to read instructions than the difficult populations the bureau needed to reach. The decision to go “simple” was crucial: if people don’t answer the questions correctly because they can’t get through the instructions, the Census Bureau will end up with incorrect data. And bad data could potentially lead to a loss of millions of dollars of federal money for places where people did not complete the survey. It’s a big circle: the government uses figures from the census data to determine how much funding goes to particular areas. 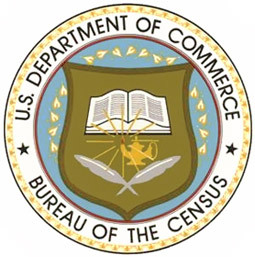 Still despite this success, the federal Population Reference Bureau said the Census Bureau will have to change the way it collects data again for the 2020 Census. The same demographic changes that are tracked by the census (population growth and increases in ethnic diversity) also push the cost higher for collecting the data. Instructions and the form may end up even easier next time around. Collecting information from 309 million people is a monumental task. Keeping the surveys simple may be the best way to collect accurate data, and PopSurvey helps you do exactly that.